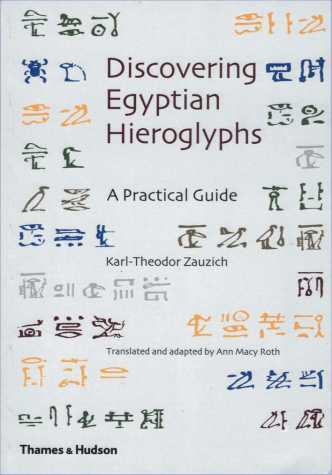 First published in German in 1980 and translated into English more than ten years later, this title has long been on my list of further reading for beginners in Egyptian hieroglyphs. Revisiting it for the purposes of this review reminded me of my reasons for recommending it in the first place. In my experience, most people who try to learn hieroglyphs are interested in reading the monu m e n t a l inscriptions they encounter on trips to Egypt and those on museum objects. S p e n d i n g m o n t h s wrestling with grammar only to be completely baffled when faced with a relatively simple temple inscription can be an off-putting (not to say embarrassing) experience. The primary appeal of this book is the fact that it does not set out to be a grammar, but rather to supply the reader with enough information to "recognise the most common phrases and many of the names of kings and gods" – an aim which it goes some way to fulfilling. Professor Zauzich makes short work of explaining the nature and basic principles of the script, with clear and succinct explanations of the types of symbols used, pronunciation and transliteration, not to mention such delights as graphic and honorific transposition and phonetic complements (although I suspect that few of my students would agree with his optimistic assertion that the latter "make learning and reading hieroglyphic signs much simpler"). The small amount of grammar covered includes gender and number, adjectives, the genitive, and suffix pronouns, all of which are dealt with simply and at their most basic. All the signs used in the book are collected into a short sign list which follows the order and codes used in Sir Alan Gardiner’s Middle Egyptian Grammar (3rd edn., Griffith Institute, 1957) – still the most useful sign list available in English. Also included are selected lists of kings’ and gods’ names. Interestingly, the author has chosen to orientate the hieroglyphs from right to left. It is true that this was the preferred orientation in antiquity but most modern works present them from left to right since this makes it easier to coordinate the text with its transliteration and translation, which are always written in that direction. In my experience students have little difficulty in adjusting to texts written from right to left or in columns. The twelve texts take the form of photographs, mostly of objects in German museums or from the European Tutankhamun Exhibition, and include temple and tomb inscriptions, inscribed artefacts from the tomb of Tutankhamun and a vignette from the Book of the Dead. Each object is described, transliterated and translated, with useful notes and references. This approach works well with the simpler texts, but I suspect that the longer inscriptions, where phrases are treated as a whole, will leave readers with a number of unanswered questions. Sadly, this excellent little book is now showing its age: the hieroglyphic signs are hand drawn, albeit beautifully; the bibliography is out of date – no mention of Collier and Manley or Allen (see below); and in updating the cover the publishers have overlooked the fact that the original illustration, an inscription from the White Chapel of Senusret I, is used as an example in the text. The cover now features an extract from the Papyrus of Ani, which serves not only to confuse the reader, but also to emphasise the fact that this is a reprint, not a new edition. Discovering Egyptian Hieroglyphs will keep its place on my reading list, but if you are only going to buy one book on the subject I would recommend Mark Collier and Bill Manley, How to Read Egyptian Hieroglyphs: A Step-by-step Guide to Teach Yourself, British Museum Press, 1998, or, for those who want a sound grammatical grounding, James P. Allen, Middle Egyptian: An Introduction to the Language and Culture of Hieroglyphs, Cambridge University Press, 2000. Pam is a tutor in Egyptology at the University of Manchester where she regularly gives courses in Egyptian hieroglyphs for the Centre for Continuing Education. Thames and Hudson, 1992, reprinted July 2004. This saga, of Victorian archaeologist Amelia Peabody, stretches to sixteen books to date, and evokes all the passion & mystery of the "Golden Age of Egyptology" with humour, intelligence and insight. Amelia Peabody’s character is inspired by amateur Egyptologist Amelia B Edwards, and we meet her initially (Crocodile on the Sandbank) in 1884 during her first visit to Egypt. Our doughty heroine meets our dashing hero, Professor Radcliffe (don’t ever call me that!) Emerson at the Boulaq Museum in Cairo – Emerson is "the greatest living Egyptologist of our time" (most famous for his excavation of the tomb of Tetisheri at Thebes) and the two share a passion for Egyptology, adventure and each other. Emerson is irascible and "bullheaded", known as "the Father of Curses" to the locals he loves to "fadaddle" with. Amelia is no shrinking violet herself, and is indeed the kind of woman who would plunge headfirst into Mastaba 17 at Meidum, her only protection being her trusty parasol and a flannel vest as insurance against unseasonal chills. The books are essentially crime murder mysteries, but as most of the criminals quake at the mere thought of our intrepid twosome, there is plenty of opportunity for them to make great archaeological discoveries. These discoveries, and the "advanced" methodology attributed to Emerson, may be rightly recognised as belonging to William Flinders Petrie. 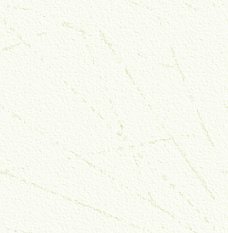 (Emerson uncovers a marvelous painted plaster pavement at El Amarna but is forced to recover it because of vandalism, where it remains for a further seven years until relocated by Petrie!) However, Ms Peters allows Mr. Petrie to feature in the books as himself, and he doesn’t appear to resent the liberties (although Amelia doesn’t wholly approve of his wife). Other real life characters are woven into the fiction in marginal roles. That decent young chap, Howard Carter, is a good friend, although he is somewhat in awe of Emerson, so much more knowledgeable than himself. Wallis Budge, Maspero, Brugsch and Grebault all make brief appearances, but the star of course is Egypt itself (although not Abu Simbel – a touch vulgar, you know!). 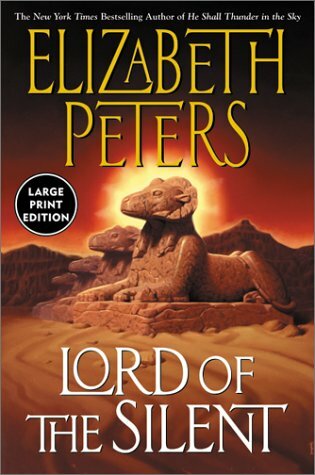 Ms. Peters has a Ph.D. in Egyptology , and uses her knowledge well to find ever more ingenious settings for her stories (gasp as Amelia & Emerson are tossed into the subterranean burial chamber of the Black Pyramid!). However, what shines through in all her books, is a genuine love of Egyptians & Egypt, ancient & modern. To date the books have reached the end of World War 1, and chart the developments in archaeology as well as Egypt’s struggle against colonialism. However, the latest book, entitled "Guardian of the Horizon", is a move backwards to 1907 to bring readers up to date with some of the earlier adventures of Emerson junior – "Ramses". I think Ms Peters is teasing us now – we are approaching a significant date in Egyptology, and I have a strange feeling that while Emerson & Peabody get embroiled in yet another adventure, and each other, young Howard Carter may just find something interesting in The Valley of the Kings. 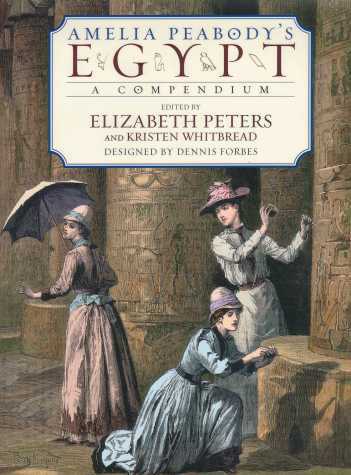 This year, Amelia’s loyal fans have been rewarded with Amelia Peabody’s Egypt – A Compendium. This is a sumptuous treat, designed to look like a journal of the time, it is packed with nearly six hundred black and white photos and engravings (many, courtesy of the Peabody-Emerson Trust, from the family library at Amarna House in Kent) and has many contributors, including Dennis Forbes (KMT), Barbara Mertz and Barbara Michaels. The subjects covered include a very comprehensive background to Egyptology in the "Golden Age", cultural and religious detail from the time, as well as a "who’s who" of all the people who feature in the novels. Elizabeth Peters knows her readers well, and pays them the compliment of blurring fact and fiction throughout the book, as she does in the entire series, without making any distinction as to who was really who. As well as being great fun, the book is packed with enough detail and information to delight any Egyptophile. Elizabeth Peters (Michaels/Mertz) serves on the Editorial Advisory Board of KMT., and on the Board of Governors of the American Research Centre in Egypt. As Barbara Michaels she has written twenty-nine gothic suspense mysteries and as Barbara G Mertz she has written two archaeological books on Egypt. The Amelia Peabody series is, in chronological order: The Crocodile on the Sandbank; Curse of the Pharaohs; The Mummy Case; Lion in the Valley; The Deeds of the Disturber; The Last Camel Died at Noon; The Snake, The Crocodile & The Dog; The Hippopotamus Pool; Seeing a Large Cat; The Ape Who Guards the Balance; Falcon at the Portal; Thunder in the Sky; Lord of the Silent; The Golden One; Children of the Storm; Guardian of the Horizon (not available in paperback in the UK until June 2005). All the books are published by Constable Robinson in the UK, and are available on-line – or order from your local library. For more information. contact www.mpmbooks.com. Alison is a long-standing admirer of Amelia Peabody and her entertaining family. She loves Egypt and has made a number of trips there, but has yet to meet Emerson. Edfu Books 2002. Price £12.00. ISBN 0-9531913-4-6. The time of David and Solomon in the Tenth Century BC corresponds roughly with the period of the Twenty-first and early Twenty-second Dynasties in Egypt. The Bible text of I Kings 3:1 mentions that Solomon married an Egyptian princess at this time. The name of the Pharaoh is not given but scholars speculate that it may have been the Pharaoh Siamun (c.978-960), penultimate ruler of the Twenty-first Dynasty. However, firm evidence to tie in biblical and Egyptian history appears scarce. Stepping in to fill this void are a number of "alternative" readings of history. It would appear that there is quite a vogue at present among some authors to make the patriarchs of Genesis into the Hyksos Pharaohs. Similarly Moses, depending on which alternative theory you subscribe to, becomes either Tuthmoses the brother of Akhenaten (so Akhenaten is Aaron), perhaps even Akhenaten himself, or, according to one theory, Moses is the Pharaoh Rameses I.
Ralph Ellis has already written two books advocating the Hyksos = Hebrews hypothesis. For the third part of the trilogy he moves down into the first millennium, the time of David and Solomon. His bold conjecture is that David is Psusennes II, the last Pharaoh of the Twenty-first Dynasty; and that Solomon is Shoshenq I, who inaugurated the Twenty-second. Their tombs are among the famous royal tombs at Tanis discovered in 1939. In addition, the mysterious Queen of Sheba is in reality the God’s wife of Amun, Mutemhat. Her mummy was found among those in the Deir el Bahri cache and now is in the Egyptian Museum, Cairo. Indeed he identifies all the rulers of the Twenty-first dynasty as characters from the Bible, all of them ancestors of David. The book is filled with information, including some fascinating byways about gypsies, Masons, and the Marie Celeste among others. While some readers may enjoy the freewheeling connections, there are, in my opinion, huge problems in accepting the hypothesis. 1. Linguistics: Much of the detailed work seeks to show that the names and titles of the Pharaohs and their court can be matched to biblical names and titles. Thus the name David is taken as a nickname from the Pharaoh Psusennes II whose Egyptian name was Pasebakhen-niut, but reading the star glyph seba as the alternative star glyph djuat. Hence from djuat we arrive at David whose symbol is the famous six pointed Star of David. For those without direct knowledge of both Hebrew and hieroglyphs these "connections" might seem superficially convincing. However, those with more detailed knowledge of these two languages are likely to be much more cautious about the plausability of such direct correspondences. For one thing Ellis adopts a pretty liberal regime for transliterating, so that the letters aleph and ayin become interchangeable, as do various of the S characters in the two scripts. 2. Hebrew History: In order to accept the thesis, you must be willing to believe in a conspiracy theory of the highest order. The assumption is that later Hebrew scribes did a cover-up job to eliminate all the links with Egypt. However, it is crucial for Ellis’ thesis that sufficient bits of information can be gleaned from much later sources such as the Egyptian historian Manetho, the Jewish writer Josephus, the New Testament, the Ethiopian tradition and the secrets of the Masons. These secondary authors provide the new sources for constructing the "alternative history". So in his reconstruction, characters and places in the Bible are never what they seem. Bathsheba (the mother of Solomon) is also the mysterious Queen of Sheba, who later marries her own son and has a child by him. She enjoys a colourful life as the daughter/wife of David and as the mother/wife of Solomon. Places in Jordan become sites in the Delta of Egypt, and Tyre is not the city in Lebanon but is another name for Tanis. The temple that Solomon builds is not in Jerusalem but is the now ruined complex at Tanis – in other words, Zion is equivalent to the biblical city of Zoan which we know from the Greeks as Tanis. As you can see almost nothing in the Bible can be taken at face value. 3. Egyptian history: Ellis does not accept the revisionist interpretation of chronology put forward by David Rohl, which is partly based on the Tanis tombs. By and large Ellis sticks with the conventional dates. However, in order to bring the biblical names and the Egyptian ones into line he has to re-order some of the kings of the Twenty-first Dynasty. Much more seriously, he has to eliminate altogether the forty-nine year reign of Psusennes I. This is because, while most scholars think the Tomb at Tanis was occupied by Psusennes I (c.1040- 990) Ellis contends it belongs to Psusennes II (c.960-45). In the same way, the brilliant silver hawk-shaped sarcophagus normally ascribed to Sheshonq II (890-889) is said to belong to Sheshonq I (945-924). The two burials thus become those of father and son – in biblical terms David and Solomon. However we also need to remember that Psusennes was the last king of Manetho’s Twenty-first Dynasty and Sheshonq was the first ruler of the Twenty-second. All standard Egyptian text books see Sheshonq as a Libyan ruler, introducing a new family dynasty. Ellis has therefore to deny that Sheshonq was a Libyan at all. Rather he is a leader of the Shasu who are identified as descendants of the Hyksos. Also I am not sure that the idea of "Solomon-Sheshonq" marrying "Bathsheba/Queen of Sheba = God’s wife of Amun Mutemhat" is plausible. Egyptian kings may have married their sister or daughter, but is there any evidence of a Pharaoh marrying his own mother? It will be clear, therefore, that this history is radically "alternative" and is likely to prove unacceptable to both biblical and Egyptological purists. It is very detailed and certainly provoking. I suspect that you will either love it or hate it. Whether you decide to put it on the shelf labelled "ancient history" or "fiction" will say a great deal about who you are and where you are coming from. Michael lectures on Ancient Egypt and Biblical History/Archaeology for the Centres for Continuing Education at the Universities of Liverpool and Manchester, and for the W.E.A. A more concise or catchy title, or one which gave some clue as to the content of this novel might have served Doherty better. It was the familiar image of Akhenaten on the front cover that first caught my eye, and indeed the book is, effectively, a fictionalised account of the Amarnan period in Egyptian history. Written in the first person, it purports to be the "confession" or autobiography of Mahu, Akhenaten’s Chief of Police, composed some years after the end of the Eighteenth Dynasty. Mahu was a real person, whose unoccupied tomb at Amarna can easily be visited by modern tourists; the "confession" is sadly an invention – if it really existed, it would be a document of immense historical interest. This leads on to my greatest criticism of the book. Like so many of its type, it mixes fact with fiction in a way that seems deliberately intended to mislead the reader, especially if he or she does not have a background knowledge of Egyptology. It is peppered with quotations and Ancient Egyptian terms, which may or may not be accurate. Only a specialist in the history and literature of the time, of which I am certainly not one, could confirm their validity or otherwise, but as a rank amateur, I noticed a worrying number of glaring errors. For example, the sixth line of the book, in the list of "Principal Characters", names a certain pharaoh "Hatchesphut": a misprint, I thought, until I read exactly the same spelling later in the text. 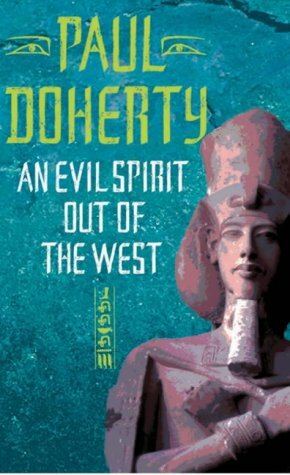 Perhaps Doherty was referring to someone other than Hatshepsut – this person was seemingly the daughter of Tuthmosis III! Apparently ra mem pet means "the Sun is in the sky" (rather than ra em pet). There are frequent references to fans, which sound much more like the Japanese version than the Egyptian one, and the description of Karnak implies that the Great Hypostyle Hall had been completed, rather than started, during the reign of Amenhotep III. Such mistakes made me question the accuracy of all such quotations and pseudo-historical detail, and rather spoilt the book for me. 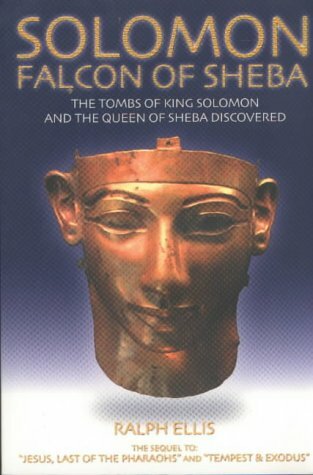 Setting aside these niggles, this is still a good read, and one which provides a feasible scenario to explain the rise and fall of Akhenaten and Nefertiti, and perhaps even more interestingly, the subsequent rise to power of Tutankhamun, Ay, Horemheb and Rameses I.
Doherty conjures up a royal Court in which intrigue is rife, and the struggle for ultimate power motivates almost everyone. This I found entirely believable, and a refreshing change from the rose-tinted view sometimes promoted by those who would see Akhenaten in the role of moral religious reformer, rather than half-crazed megalomaniac. At the start of the narrative, most of the principal characters, including Horemheb, Rameses I, Maya and Mahu himself – all familiar names in Egyptology – are made members of the same royal school, called the Kap (Egyptian for nursery or harim, according to Gardiner). This device allows them to remain in close contact throughout the story, and ultimately to influence and direct the course of events to the ultimate benefit of Egypt. This is one of the most mysterious and fascinating periods of Egyptian history and yet the archaeological evidence is limited. The reason for the downfall of Akhenaten and Nefertiti, the identity of Smenkhare, the relationship of Akhenaten to Tutankhamun, the life history of Ay, who outlived them all to become pharaoh himself – all are unknown and the source of endless speculation. This story provides as good an explanation of the facts as any. Headline Book Publishing, London; 2003.
available in paperback, priced £6.99.